Bangkok Airways recently received Famous Hollywood Movie Star and Director Mr Jackie Chan, who will be a guest speaker at the upcoming “Bridges – Dialogue towards a Culture of Peace” event. 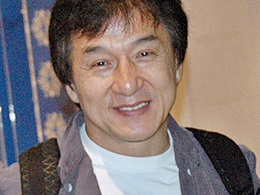 The Thai air carrier Bangkok Airways received a strange passenger on a flight to Cambodian recently in the form of Chinese born action movie star Mr. Jackie Chan who was heading to speak at the “Bridges – Dialogues towards a Culture of Peace” event, which was organized by the International Peace Foundation. 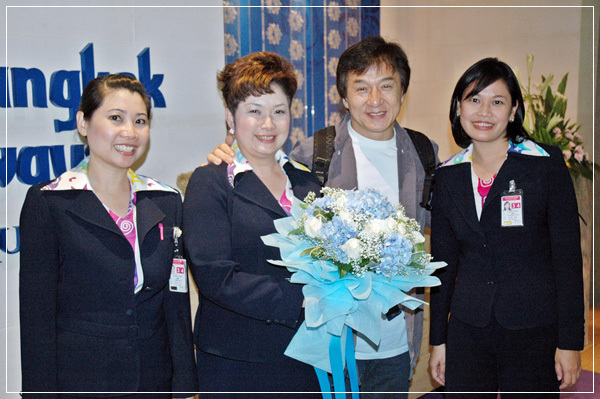 As Jackie Chan was looking for a flight to Cambodia, he made the decision to use Thailand’s largest domestic carrier, Bangkok Airways, who were more than happy to welcome him onboard. Under the slogan “Asia’s Boutique Airline”, Mr Chan purchased his ticket from Bangkok Airways, probably the most trusted airline amongst the population of Asia.